Mold testing and mold remediation present a possible conflict of interest. They are very specifically different practices! Understanding the difference between the two is essential to clarify how there could be a conflict or compromise. On the surface the two separate tasks appear clear, but it is when melded together things can get complicated and the lines blurred. New Jersey mold testing services are a clear first step in determining whether mold is present, what types of mold exist and how widespread the issue is in the home. Mold is complex: while you can see black mold in moist places inside a home you cannot see airborne mold. When mold is widespread it can result in health problems. 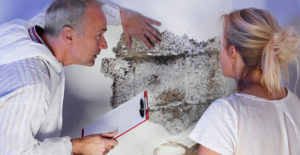 Hiring a NJ mold inspector is an instrumental first step for testing a home for the presence of any mold. What is Mold Remediation or Removal? Mold remediation is the process of removing mold from a home. A qualified NJ mold remediation company should always be chosen based on reputation and results; however, it is not necessarily a good idea to have a remediation company also serve as the mold testing company. A mold remediation company has expertise in eliminating mold and makes a living doing so. But to keep everything above board it can be in the homeowner’s best interest to hire a NJ mold testing service separate from a remediation company. This way there is a thorough unbiased report of what needs to be eliminated. The remediation company can then follow suit without any possibility for ever taking advantage of a Mold situation. In other words, no lines have been blurred. In state of NY, the law requires licensing in order to regulate this potential conflict of interest and potential related fraud or abuse at the expense of property owners. In fact, the law requires a license for mold assessment OR remediation specialists that wish to test. 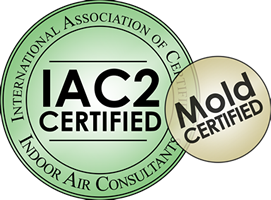 It both sets and regulates minimum standards for mold assessment and remediation practices. After a home has had mold removed it is VERY important to conduct a ‘Post Mold Remediation Verification’ test. Mold testing is best done by an unbiased NJ mold testing company to ensure accuracy. Again and in a ‘best case scenario’, both the remediation company and the homeowner would rather there is no possibility for any conflict of interest. Certified Mold Testing of Bergen County offers post remediation verification tests that help families sleep well at night, knowing the mold has been eradicated. When you suspect there could be mold take it seriously. Contact Certified Mold Testing NJ – NY LLC to determine whether a problem exists. If mold is present it is essential to uncover just how widespread the issue is. Mold remediation will be your next step in the process. Taking the time to understand the three step process is important for your home’s health as well as your family’s health. Test, remediate, and conduct a follow-up test. Doing things right will ensure peace of mind when it comes to your health and keep any potential conflicts of interest at bay.